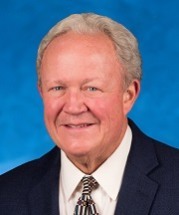 Doug Wright is a native of Fort Worth who graduated from Paschal High School in 1972 before earning a Bachelor's of Business Administration at the University of Texas at Austin in 1976. He then attended St. Mary University School of Law. After graduating and getting licensed in 1979 he returned to Fort Worth where his father was a Family District Judge and began his legal career. After being in private practice for almost 30 years Mr. Wright joined the firm of Bailey & Galyen in 2009 as Managing Attorney of the Fort Worth Office. He has committed his practice to Family Law and is dedicated to helping individuals and families at a time of transition in their life. The common theme in Mr. Wright's career is compassion and empathy for his clients in crisis. He understands how difficult a family law case can be both emotionally and financially. He strives to ensure that each client receives the individual attention he/she deserves. He never forgets that your case is the most important thing happening to you at this point in your life. Mr. Wright has been actively involved in the community for many years. He has served as a Precinct Chairman attending both district and state conventions. He was a greeter at First United Methodist Church for 6 years and served on the Church's Board of Education. He served on the Wesley Foundation (Methodist) Board of Directors at TCU setting up its non-profit corporation status. He chaired the business fundraiser for the American Cancer Society in 1984. He has held every elected position in the Tarrant County Young Lawyers Association (President 1984) and Tarrant County Family Law Bar Association (President 2006). He has been awarded the Tarrant county Bar Association Certificate of Outstanding Achievement and Tarrant County Family Law Bar Association Certificate of Appreciation. He was a Director on the Texas Young Lawyers Association Board from 1984-1986 and has been a member of the Texas Bar Foundation since 1986. He is involved in the Fort Worth Texas Exes and Paschal High School Alum Association. He served as a Boy Scout Leader from 1989-1995. He was an Adjunct Professor teaching Law and the Social Worker at TCU. He is a certified Family Law and Advanced Civil Mediator as well as being certified in Collaborative Law.